Be the first to hear about their new releases and deals. Download the Booksprout app and search for C.A. Rudolph today! C.A. 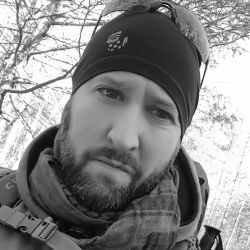 Rudolph is a self-published author who lives and writes within the pastoral confines of the northern Shenandoah Valley of Virginia where he spends most of his limited spare time engaged in outdoor activities such as hiking and backpacking, camping, fishing, and shooting. His first book, What’s Left of My World, was published in December 2016 and became an Amazon post-apocalyptic and dystopian best seller.